Discussion in 'Tone Zone' started by nico1975, Jan 17, 2019. I am sure the subject has been discussed many times, I am thinking about replacing my Kluson Deluxe tuners with something else, trying to maintain the vintage looking and stay on the lowest possible weight, any experience with those below, the Kluson Revolution? Those seem to be the only ones on the market with the same look of the original. And what's your experience with self-locking tuners on your SGs? what would you reccomend? Personally I've never seen the need for locking tuners. If I wrap the strings properly and lube the nut even my tremolo equipped Strat doesn't have any tuning issues. What's wrong with your current tuners that you're trying to improve? Bad Penguin, Biddlin and cerebral gasket like this. If you wind your strings on the post like this, it will turn any tuner into a self-locking tuner. plankton and Ray like this. I am a huge fan of the Grover locking tuners they get installed on all my guitars! Best way to start complaining about neck dive on your SG. So yeah Nico, tell us what's wrong with your actual tuners. And don't tell us they slip. Tuners never slip, bad string winding on them do. The only reason for locking tuners is to make string changes easier. They won't magically improve tuning stability, if that's the goal. That being said, I love them myself just because of the quick string changes and Grovers are my favorites by a mile, as they are about the easiest to use and have the best tuning "feel" of anything I have tried. rotorhead and Ray like this. Hi guys thank you all for the useful informations! Let me explain, I definitely dont have big tuning issues, but after 27 years of honorable service (less than one in my hands) the G and e tuners arent working properly anymore. They turn badly, looks like they give traction in a discontinuous way. I never had locking tuners on any other guitar, but now I have to decide: replacing the two tuners or change them all for better. Got it. Wore them out. Personally I'd go with a drop-in replacement then, and get the Revolutions. I say, if those gave you 27 satisfying years ... you'll be 70 before you need to do it again. I can't recommend any specific tuner, but I will echo what DrBGood mentioned earlier, weight can be a big factor on an SG. See if you can figure out how heavy the current tuners are and go for something about the same or even less. Otherwise the infamous neck dive could become an issue. Personally had never heard of any issues regarding neckdives before I read about it on ETSG. I've always used big fat, suede letherstraps on all my guitars and I' ve never had issues with neckdives. Even with my 1995 Epi G-400. 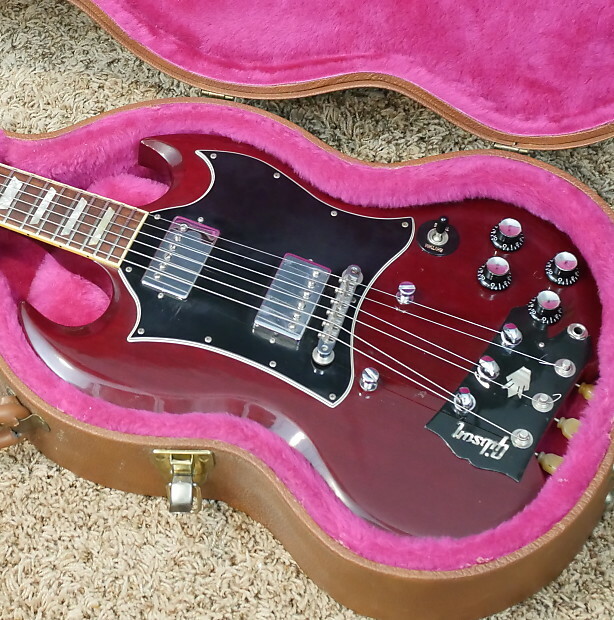 IMO people who complains about unbalanced SG's and whatnot should get a different guitarmodel. SG's are not for them. IMO it can hardly be justified saying Grovers will cause neckdive. To those getting their lives ruined by neckdives: Spend 50 Euro on a BIG, FAT, SUEDE LEATHERSTRAP. My SGs with Grovers balances just fine and the dont dive with their necks. They stay nicely in place. Neckdive is such a non-issue to most players. Why do you think EC quit playing the fool and went to a Strat? During a rehearsal, the anti neck dive stage rigging slipped and his wrist got sprained and he had to cancel several shows. The final solution for neck dive. Of course. Headless guitars are my favourites, btw.